Look #2 - Loop the Maxi Twilly once around your neck, and secure the ends in a criss-cross knot. 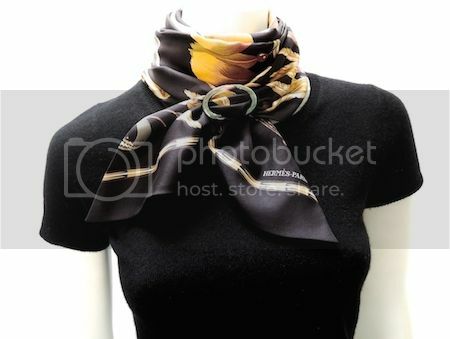 You can vary this look by wearing the scarf ring closer or further away from your neck. You can vary the size, position and shape of the bow by pulling the bow out further or less, and by sliding the scarf further away or closer to your neck.